It’s FOOTBALL SUNDAY, Sudsers! I hope everyone has had an opportunity to check out some preseason games today, if you’re into that sort of thing. If you’re not into football…I don’t know what to do with you, really. The Soap & Clay family has been busy putting the finishing touches on our brand spankin’ new storefront this week. And by busy, I mean it has consumed every available second of our lives. And by finishing touches, I mean we started this week with roughly 10% of our task items completed. So yeah – it’s been a bit insane. Earlier this week when I was covered in paint and construction dust, I hit a wall. I was tired. I didn’t want to paint anymore, I didn’t want to build anything, I didn’t want to go home to see my soap shop in disarray as we’ve been prepping for the move. I wanted to sit in my reclining wingback with a book and a cup of tea and shut out the world. As I walked through Freighthouse Station, dreaming of a cuppa and some quality time with the new Harry Potter book, I bumped into Becky from Claudia’s Attic. Becky and her sisters run an adorable vintage store at Freighthouse Station, and getting to see the new treasures they put on display really is the highlight of my mornings. 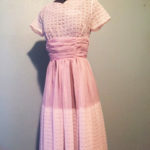 She put this dress out last week. I bought it. She put this one out the following day. Bought it, too. 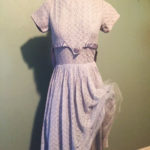 When I ran into Becky, I was not looking for dresses (focused on tea, remember? ), so you can imagine my delight when she told me that their tea sets were on special. 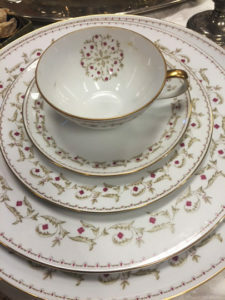 I wandered into her shop to ooh and ahh over the beautiful china sets with their swan-like spouts and their gold rimmed saucers. She had wonderful information about the complete sets available – this one is super old and in mint condition! Becky asked me if I had been down to check out the tea room in Freighthouse Station. Now, this building is BIG and full of hidden treasures around every corner, and I had not found anything resembling a tea room during my explorations. I asked for directions and set out. …or let Olive Branch host it for you. On the far west end of Freighthouse Station, I found it. An honest to god tea room in Tacoma. 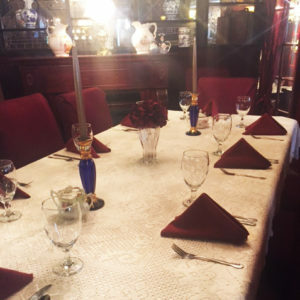 With full tea service, private rooms, a light lunch menu and beautiful Victorian Era decor, this is just the perfect place to sit and enjoy an afternoon with friends after shopping. Full service luncheon in a number of private or semi-private rooms to choose from. Did I mention their prices are great? And the staff? Delightful. I was greeted by a lovely lady who immediately commented on my t-shirt (Chicago Bears) and we began talking about all things football. She was married to a member of Emmitt Smith’s family back when the Cowboys were a force to be reckoned with, so I enjoyed listening to her Super Bowl stories while we waited for the owner, Terry, to finish up with a group of guests. 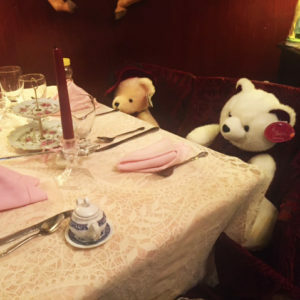 Kids tea room is equipped with stuffed animals, hats and gloves, and a side table for the grownups. Terry is just the exact type of person you’d expect to see running a tea room – she’s warm, welcoming, and filled with love and humble pride for this masterpiece she’s created. 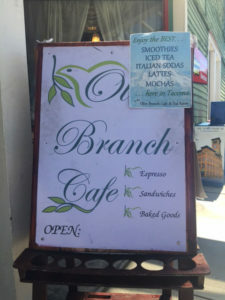 As we wandered through The Olive Branch (which is huge), I saw a group of teenagers in prom attire, several couples tucked away in small rooms enjoying an afternoon date, a few birthday parties, and a group of kidlets hosting a tea party for their favorite dolls in their own miniature room. Terry thought of everything, and she is equipped to handle visitors from all stages in life. This afternoon of exploration lifted my spirits, but didn’t get me any closer to my dream of a book and a cup of tea at home. The only thing that was going to get me there? Work. 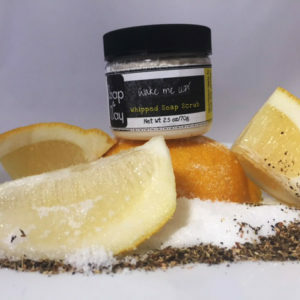 So back I went to finish up the dirty stuff and headed home to make a batch of one of my personal favorites: lemon and black tea whipped sugar soap scrubs. This one was where the dual purpose soap-scrub began. 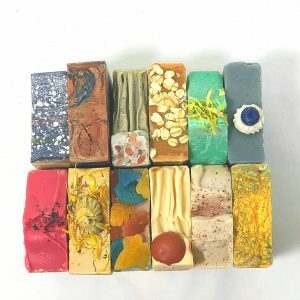 When I was designing my product line, I wanted to make a soap using black tea because I love tea so very much. 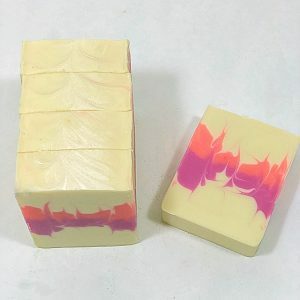 I also like a spot of sugar in my tea, so I started working on ways to incorporate both into a standard soap batch. 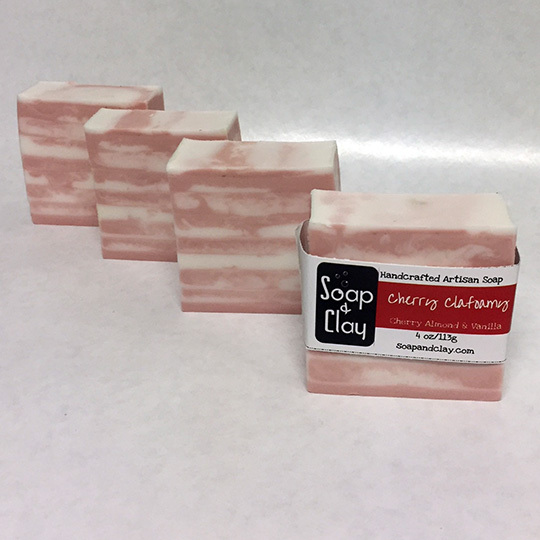 Sugar doesn’t do well through the saponification process, though, so I knew I would have to add it to already cured soap. So I formulated a cream soap, which starts out much like standard soap but is saponified over heat and requires a six week cure in a crock pot. 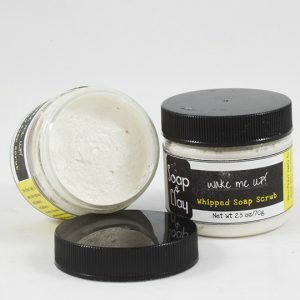 This is kind of a pain, but it produces a soap that is perfect for whipping into a light, airy, whipped cream like product that can hold the large amounts of sugar I use for my scrubs. 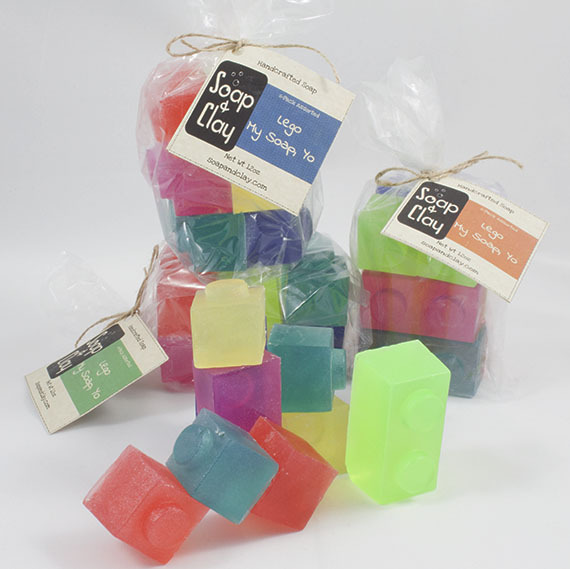 I’m a big fan of dual purpose products, so a soap that scrubs and cleans is a winner in my book. Once it’s cured, I toss it in my stand mixer and whip it for around 20 minutes before adding the goodies. The goodies include a black tea extract infusion, lemon, glycerin for added moisture, sweet almond oil for the EFA benefits, and sugar (obvs). The final product is a beautiful scrub that also cleanses and rinses cleanly away with no greasy residue. It is an exfoliating dream – super effective but gentle enough to use on sensitive areas. For those that have read through to the end, here it is – your weekly freebie coupon code. For those who didn’t read anything above, NO CODE FOR YOU! Just kidding; I can’t make my site distinguish between the two. 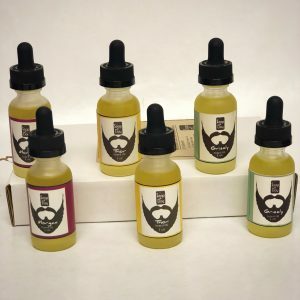 Enter coupon code TEAINTHETUB for a free mini-whip! Coupon valid through next Sunday, August 21st. But really – if you’re in Tacoma, stop by Freighthouse Station. Come and say hi. 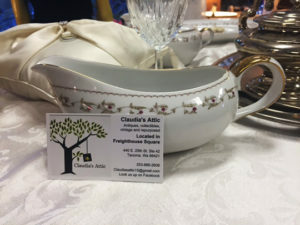 And make sure to stop in and see the lovely ladies at Claudia’s Attic and Olive Branch. You won’t regret it! If you’re not in Tacoma, go like their Facebook pages anyway – it helps with their analytics. Until next week, Sudsers!